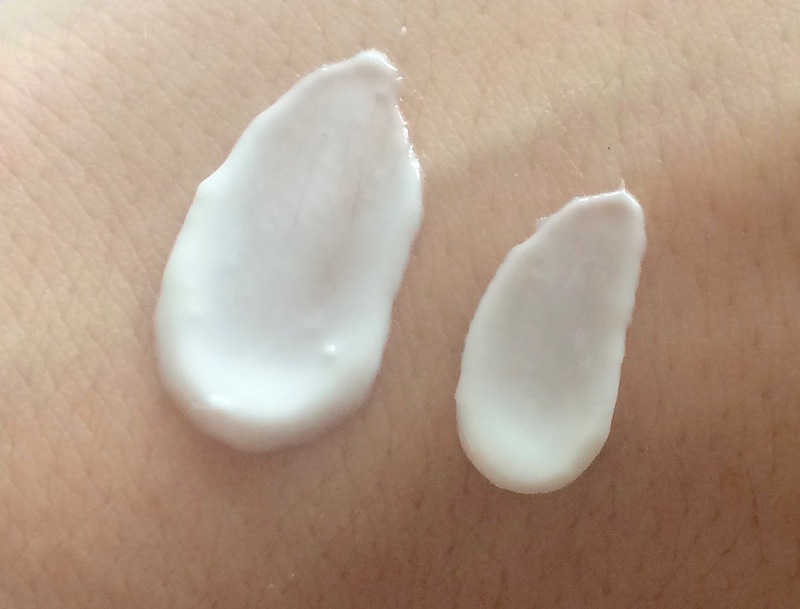 REVIEW: ‘SkinClinical’ Anti-Aging for Sensitive Skin? If you suffer from eczema, psoriasis, sensitive skin, or sensitized skin (there is a difference), you now how precarious shopping for skincare can be. Not only do you risk irritating your already irritated skin, but the products that claim to ameliorate those issues might not do a whole helluva lot. Don’t worry, Wednesday, there might be a new solution! There’s a new brand in town: SkinClinical. Like many brands out there, this was created by a cosmetic surgeon. Now, this is not revolutionary. Think about all the other brands that were created by dermatologists and cosmetic surgeons: Perricone MD, First Aid Beauty, Dr. Dennis Gross Skincare, DermaDoctor. Honestly, big whoop. This is all marketing and means nothing. Other skincare brands that don’t tout one particular dermatologist can be formulated with the input and guidance from an entire team of physicians. That aspect might just not be fitting with that particular brand’s marketing tactics. So you won’t know. You also won’t know if the doc for whom the skincare line is named is really all that involved. I’ve personally seen how involved (and neglectful) brand founders can be. It’s not always rainbows and roses, people. So, I ask you to go beyond the mere fact that it’s a brand repped by docs and check out the ingredients. What I find most intriguing, is the fact that the brand claims it can alleviate skin issues associated with skin conditions like eczema and psoriasis when they don’t have colloidal oatmeal in the formula. From my experience, and according to this New York Times article, the FDA ruled that companies could not claim that their skincare product treated or relieve the effects of eczema if it did not contain colloidal oatmeal. After being contacted by a rep for the company and perusing their literature, SkinClinical clearly says the product can be used for eczema and psoriasis. Perhaps SkinClinical gets around the fact that their products do not contain colloidal oatmeal by manipulating the language in a way that doesn’t say it “treats” eczema, but maybe “can be used on” it. Trust me, there are lots of ways to get around this. I should know. Copywriting for a skincare company was once my job. SkinClinical’s ingredient to note is SBD-4, from the Angelica Sinensis plant. Their website argues that this ingredient helps promote cell turnover, which can help with reducing “stimulating skin’s natural cell regenerative process, improving skin’s hydration, microcirculation, and oxygenation, and increasing skin’s elasticity, thickness and natural collagen production.” Furthermore, they also claim it can relive skin dryness from chemotherapy, radiation, laser treatments, and peels. This sounds fancy and sophisticated, but it just means that it can help hydrate and soothe skin without causing irritation that could flare up in people with skin undergoing the aforementioned treatments. NBD. If this product could treat eczema, psoriasis, and all of the other aforementioned skin irritations described, and it did so without containing colloidal oatmeal, that would be a great selling point. If colloidal oatmeal has just never worked for you, and is SBD-4 does, this might just be your new favorite brand. What’s unclear to me, is who exactly this product is targeted. Obviously it’s geared towards people with skin conditions, but is this meant to relieve the irritating dry skin and itchiness of affected skin or is it meant to be an antiaging formula that those with sensitive skin can use (as those of you with sensitive skin know, you often can’t use the typical anti-aging ingredients, because they are too harsh on your skin). There are already a few brands out there dealing with treating skin that is super sensitive. One of those brands is First Aid Beauty. They DO have colloidal oatmeal and a phenomenal price point. A 6-oz tub of their super popular Ultra Repair Cream (which has been a top seller at Sephora) costs only $30 and will last you quite a while. The Daily Treatment is $39.95 for a 8.0-oz tube. It feels light, creamy, and not too thick. It absorbs extremely quickly and did not leave any greasy residue. I then tried out the Repair Concentrate, which is $29.95 for a 3.0-oz tube. I expected it to be very thick or viscous, but it was a very similar consistency to the Daily Treatment. This doesn’t mean it’s not more intense or moisturizing than the first. It indeed might contain a more SBD-4/nutrient-packed formula without the other heavy ingredients that make it feel like Crisco. So TBD on if it really is more power-packed than the Daily Treatment. My biggest issue right now is that I’m not really sure what the purpose of the product line is. It wasn’t clear on the packaging whether this was meant for the body or face. Due to the size, I’m assuming the body, but I have a feeling the company might claim you can use it on either your face or body. As someone prone to acne, I’m definitely not putting anything on my face unless it explicitly says that’s okay. SkinClinical might have some great products, but their specific goal is a tad unclear. They might have a better shot if they were to position their products as antiagers that are effective for those with sensitive skin. Not only can they calm and soothe, but they use this innovative ingredient, SBD-4, to help prevent skin aging at the same time. This would really set them apart in the market, which really doesn’t have many options for preventing signs of aging in sensitive skin. Now, I’m not sure if they can truly make this claim, but they seem to have all the pieces in place. They just need to state it out loud. If you have sensitive skin and tried everything under the sun, colloidal oatmeal doesn’t work for you, and/or you want to prevent signs of aging on sensitive skin, then SkinClinical might just be the brand you never heard of but SHOULD have. Great write-up! I do think a lot of skincare brands just make vague claims upon claims without really thinking through WHO their target audience is. The market is just so saturated. It’s interesting that you used to be a copywriter for a skincare company! Thanks so much! Yes, it’s unfortunate, particularly with skincare. Skincare is a different animal than makeup. You have to rely way more on the claims and trust that it will work. As a result, their marketing needs to be really clear, persuasive, and unique.